Several studies (in China and in Denmark) already show that a reflexology treatment (a sesion of about 30') may help in reducing headache. Many of the studies are about women, as they are more frequently involved in hedaches. Pain management by reflexology, TENS and other complementary methods are increasing in several hospitals and clinics. Among premenstrual symptoms are headache and pain. For both them more than one study says that reflexology sessions have been useful to reduce these symptoms. Hormonal disbalances, pregnancy, post-partum, etc. 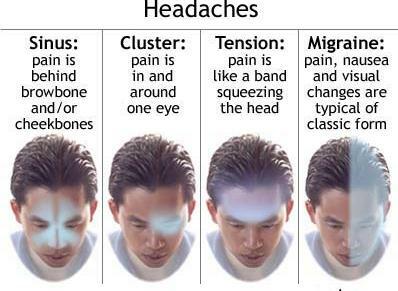 are all possible causes of headaches in women. This is why women suffer headache more than men. One of the most common.